Damage Boardshop: Go Skate Day! 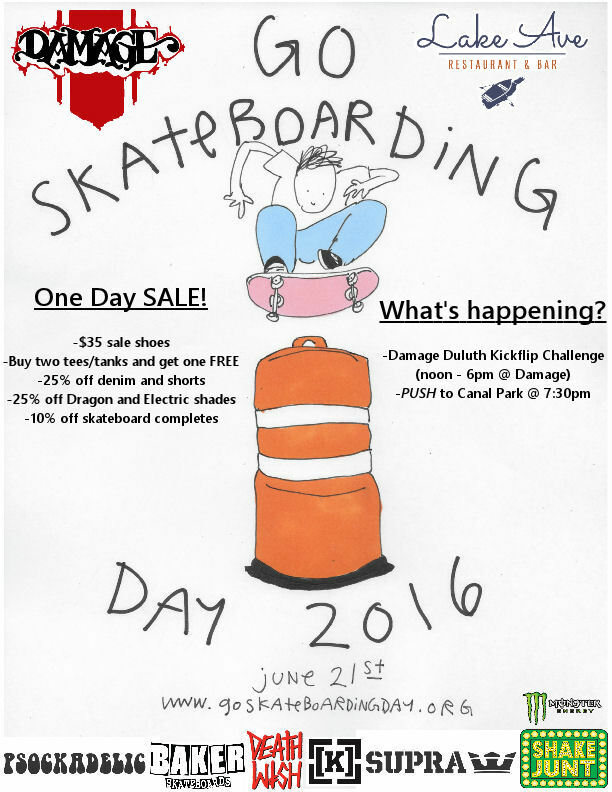 Beginning of the summer is upon us which means Go Skate Day is near! 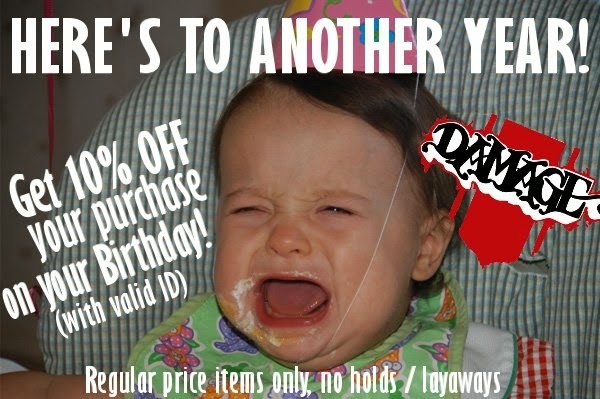 of our steals and deals going on all day. 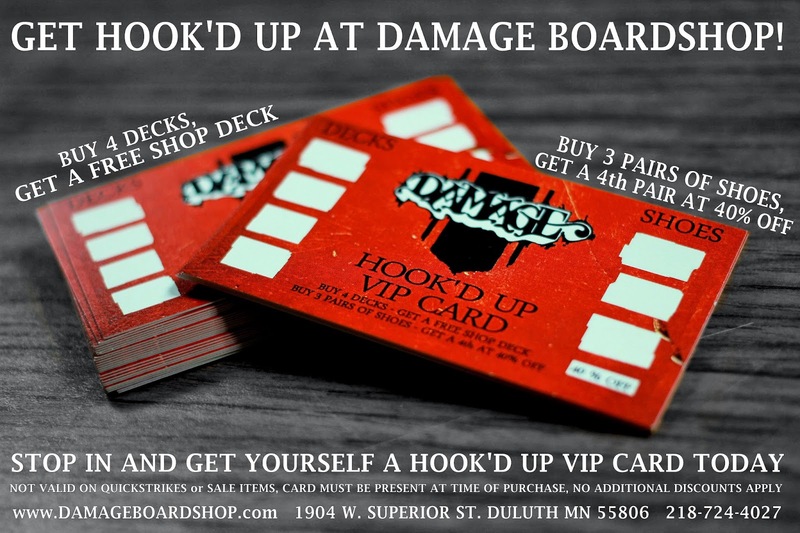 Our "Damage Duluth Kickflip Challenge" is back! Land the most kickflips in 60 seconds and snag yourself a prize pack from Supra, Krew, Psockadelic, and Deathwish! If you can't make to the shop during the day join us for a push at 7:30 to canal park from DAMAGE. 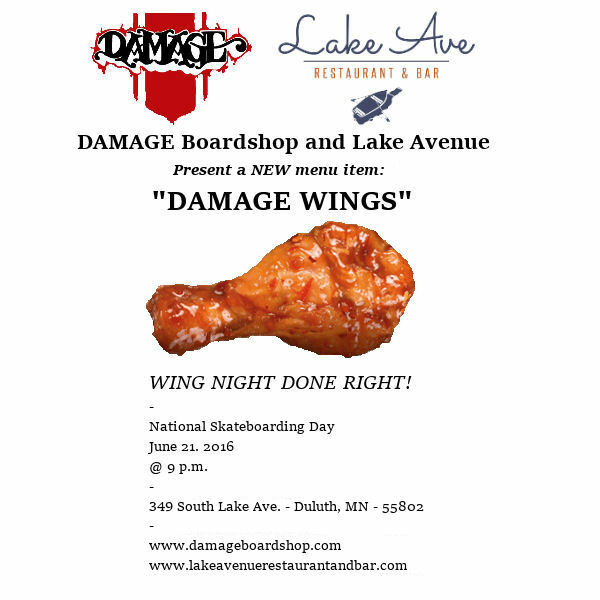 We will be ending up at Lake Ave. Cafe for the release of the new DAMAGE menu item and drink specials around 9pm. All ages are welcome.